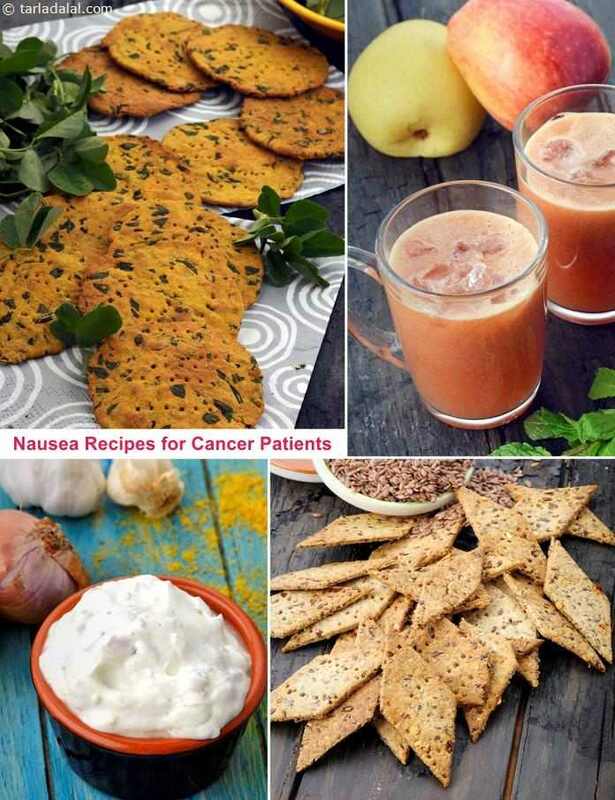 : Under chemo and medication, it is natural for most people to suffer from lack of appetite and nausea too. At such times, try to sip on healthy juices like Cucumber Cooler and opt for dry, non-fried snacks like Nachni Sesame Khakhra . You can also try a variety of dips and baked crackers like Ragi and Oat Crackers with Cucumber Dip, to add some excitement to your day.